This is the toughest for me. 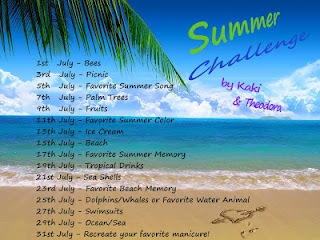 In the three challenges I signed up for this summer, four themes are beach related. I am running low on ideas. I decided to keep this very simple. I had seen a tutorial on Tin Roof Nails that I liked a lot. Simple but beautiful. I used Finger Paints Don't Make A Scene, Zoya Tallulah and Color Club Blue-Ming. Of course, I added a heart in the sand. This gradient was gorgeous and totally reminded me of the beaches in the caribbean. Looked at my nails all day, wishing I was there. oooh how cool!! Funny, that's exactly what I thought about when I saw your picture, and then read that it was supposed to be a beach, so you nailed it girlie!! Such a great gradient! I love it! That's a great gradient for sure! Love it! This is so beautiful, love it! :) Definitely captures the relaxing beach feel! Such a pretty gradient!! I really like this ! Very pretty. I especially love the heart. It's adorable! 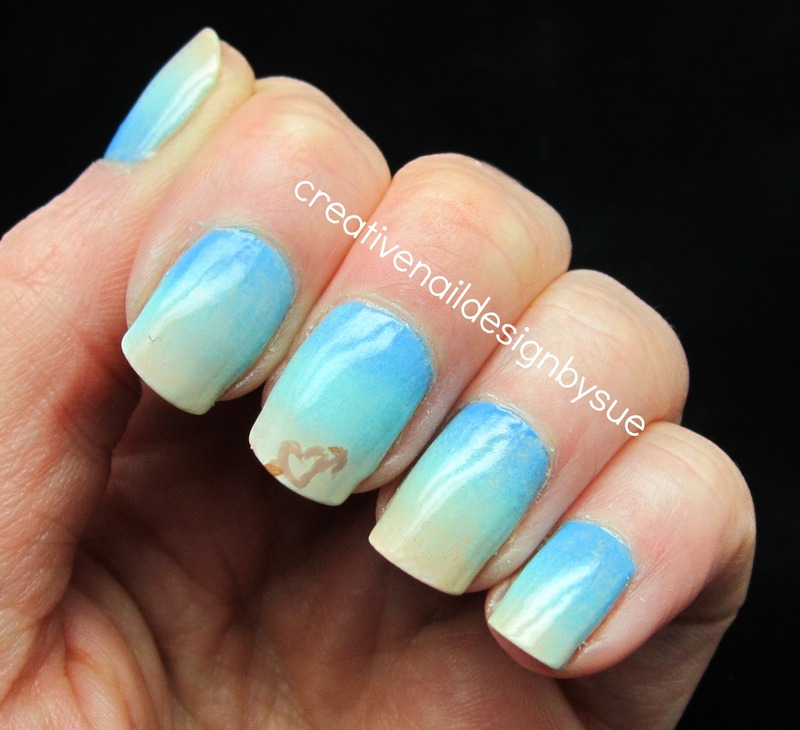 You did an amazing job on that gradient! I love that. Simple, but great looking. Simple but cute little beach!! That's gorgeous. I love it. the heart is super cute. I've seen such a huge jump in your nail art mani's these part few weeks - amazing! !